This talk deals with the problem whether a function $f \colon A^n \to B$ can be reconstructed from its identification minors, i.e., functions derived from $f$ by identifying a pair of its arguments. Some recent results, both positive and negative, about this reconstruction problem are discussed (see [1, 2, 3, 4]). For example, totally symmetric functions and affine functions over finite fields are reconstructible. On the other hand, the class of order-preserving functions is not reconstructible. Some open problems are also presented. 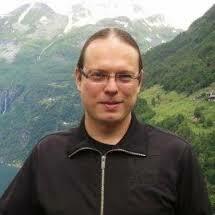 References:  E. Lehtonen, On the reconstructibility of totally symmetric functions and of other functions with a unique identification minor, arXiv:1208.3110. E. Lehtonen, Reconstructing multisets over commutative groupoids, with an application to a reconstruction problem for functions of several arguments (the case of affine functions), arXiv:1302.7109. M. Couceiro, E. Lehtonen, K. Schölzel, Hypomorphic Steiner systems and nonreconstructible functions, arXiv:1306.5578. M. Couceiro, E. Lehtonen, K. Schölzel, Set-reconstructibility of Post classes, arXiv:1310.7797.